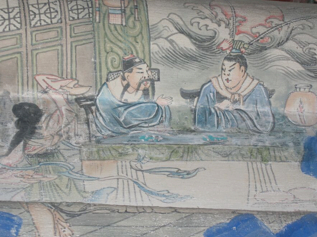 A former court entertainer intent on becoming a successful merchant had enrolled in The Academy of Yen Tzu, sponsored by his Duke, on the condition that upon graduation the former entertainer would apply his new skills in the business dealings of the Duke, including making presentations, which the Duke himself would never do. During an evening when the students were relaxing the entertainer began to juggle first one, then two, then three, then four and then five balls in the air. Yen Tzu turned to the surrounding students and said, ‘See how a Man’s spirit concentrated through disciplined perseverance keeps his will undivided. Such power of constancy makes even the impossible look easy! Our courtly friend here has come to study how to present to an audience yet we can learn from him. For we are all capable of persisting. Each of us has displayed our natural ability to steadfastly persist when taking our first step. Learning to walk takes courage, determination, self-discipline and perseverance. Yet for too many these natural attributes begin to disappear from lack of use. The ‘do I have to’ and ‘can’t someone else do that’ syndrome is soon born, strengthened by the appeasement of others.